I have just finished the animation of this wall. I’m using it in my video where I explain the concept of force. This is a new format of video I am publishing during the first half of 2014. In these short ninety second videos I will explain the basic concepts used in physics. 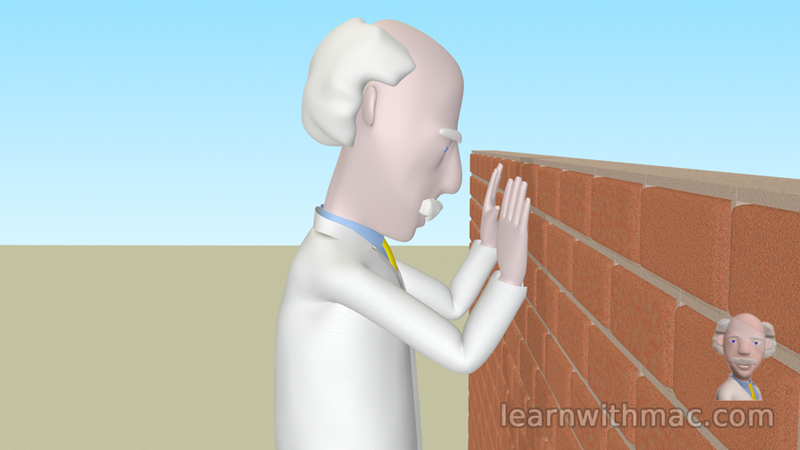 The animation of the failure of the wall has required me to use some of the advanced features of Blender, including fracture and physics animation. Now what am I going to do with this wall? What about pushing it over? I’ll post more pictures soon. Next story What happened to this wall? Previous story How much does an apple weigh?